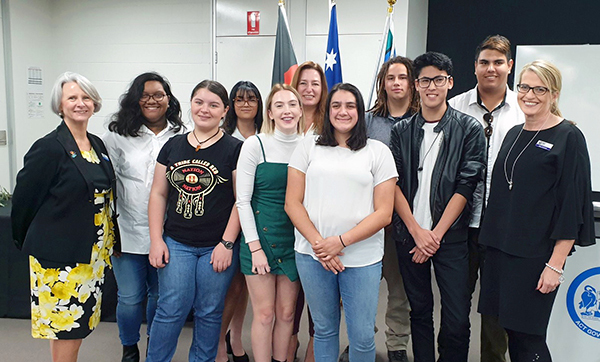 Sixteen Aboriginal and Torres Strait Islander students were recently presented with scholarships by the Education Directorate to help them further their study. 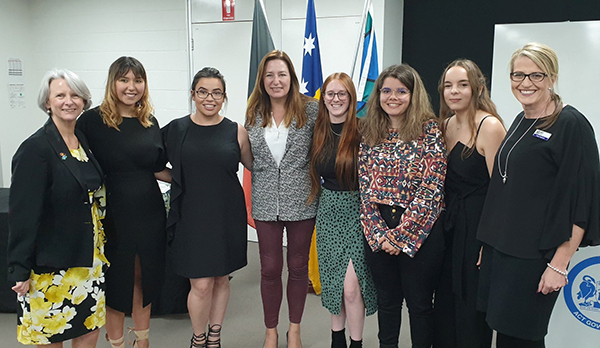 At a special ceremony held on 28 March the students were congratulated by the Minister for Education and Early Childhood Development Yvette Berry MLA, Director-General Natalie Howson, and Deputy Director-General Meg Brighton. The principals, teachers, lecturers, tutors and mentors of the students were also acknowledged for their help in guiding and encouraging these students in their academic journey. The Education Directorate administers two scholarship programs for Aboriginal and Torres Strait Islander students in ACT public schools, totalling $155,000. The Secondary Scholarship Program is for students in Years 11 and 12 interested in a career in teaching, the health field or undertaking vocational qualification. The Tertiary Scholarship Program is for students enrolled in teaching or an approved health course at a local ACT university. The scholarships are provided to assist students in the costs associated with their studies. You can read more about our Aboriginal and Torres Strait Islander programs and services here.